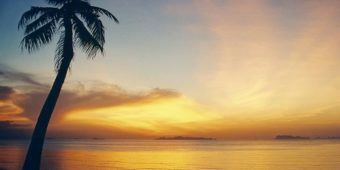 An exclusive trip between land and sea, calm and voluptuousness, to discover South Thailand's hidden treasures. 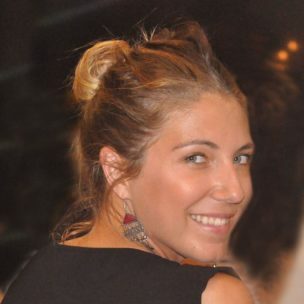 Raised by a family of great travellers, Sophie’s taste for discovering new countries and cultures is part of her DNA. When she designs a new tour, she thinks first about the pleasure and goosebumps it will bring the riders. 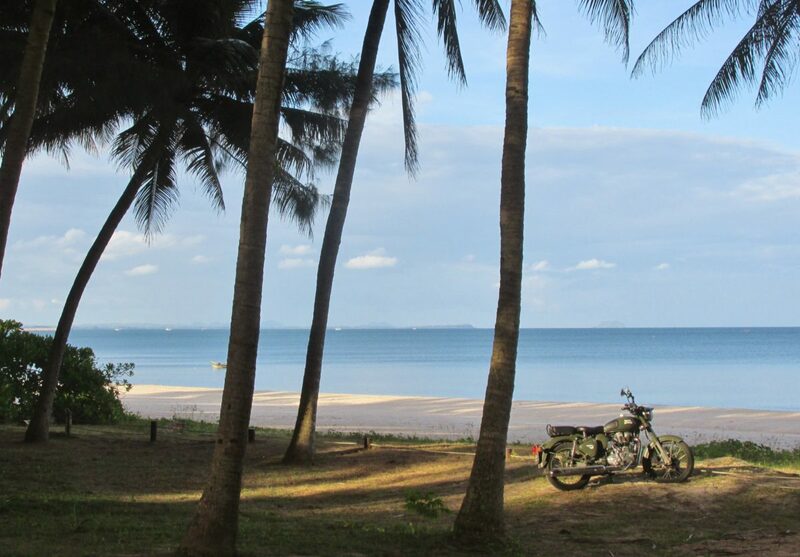 You are in for a unique 10-day bike trip on Royal Enfield, between the exquisite Andaman coast and the Gulf of Thailand. 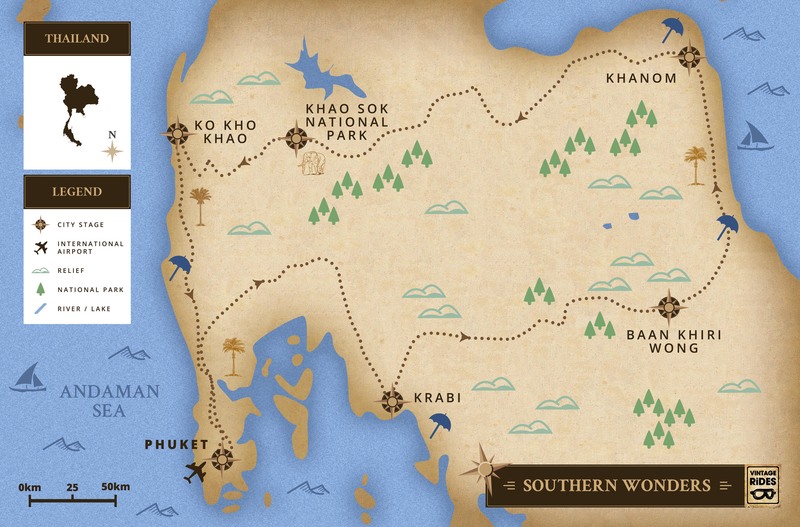 At each step of our exclusive itinerary, you ride on secret roads through a Thai countryside full of surprises, virtually unexplored national parks and tropical mountains. 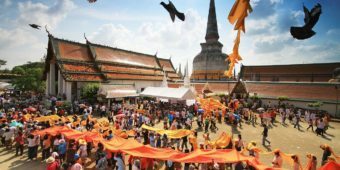 Set off for an adventure to the heart of an exuberant nature, admire Buddhist temples and golden pagodas and above all, meet jovial and welcoming Thai people. 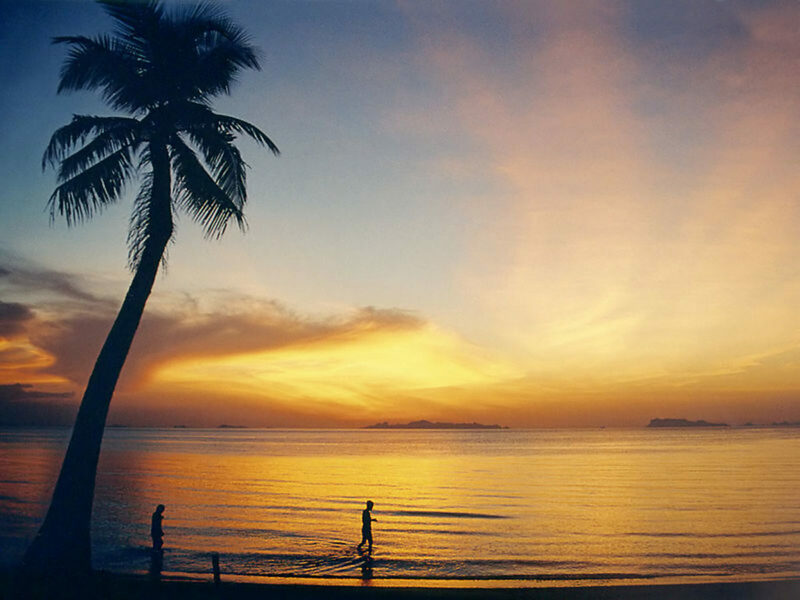 And after the exertion, enjoy the beach, treat yourself to a massage and taste the best cuisine in Asia! 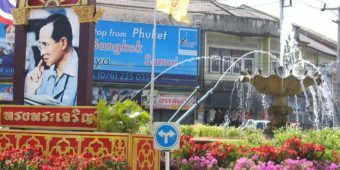 You are met at the airport and transferred to your hotel near Mai Khao beach. 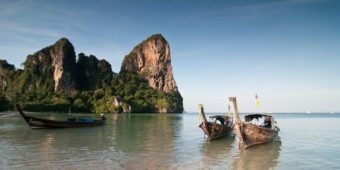 You can spend the rest of the day at your leisure, relaxing on the beach or by the pool, so you ease yourself into your Thai tour. 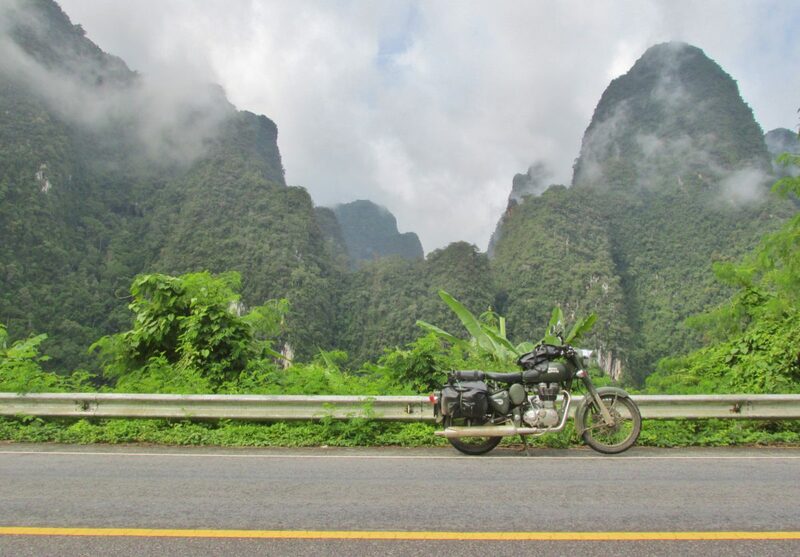 We leave Phuket Island early in the morning and ride on the border of Ao Phang Nga National Park. After a few miles on the main road, we go back to the secondary roads. 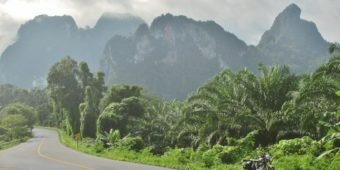 The imposing karst mountains near Krabi gradually come into view until they are towering over us. We spend the rest of the afternoon relaxing on Krabi beach where we’ll stay for two nights. 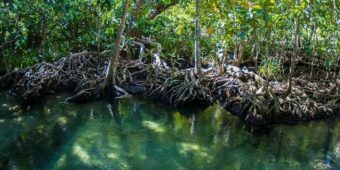 We take the bikes for a spin in the morning to explore Krabi’s surroundings across the natural protected parks, known for their hidden waterfalls. 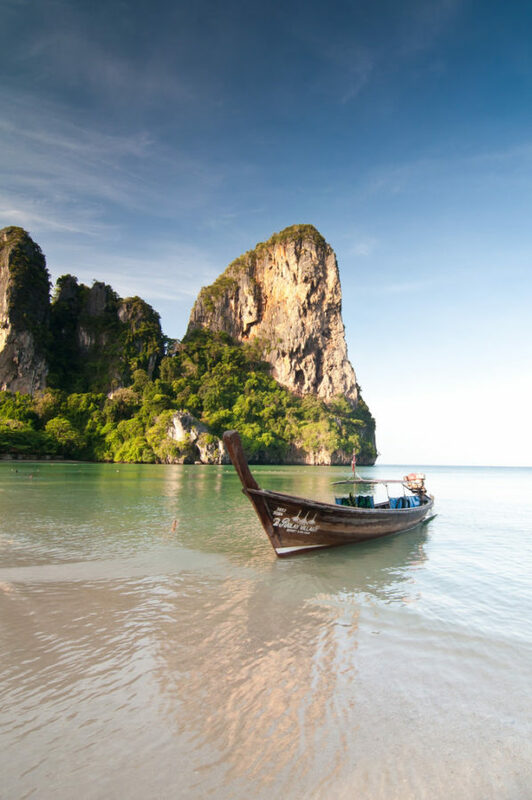 In the afternoon, we change our mode of transport and take a boat ride to Railay, world-famous for its fine sandy beaches. 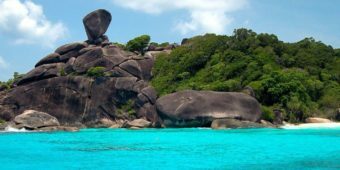 There are several activities you can choose from, such as kayaking, snorkelling, etc. Heading east, we leave the coastline to go deeper inland. 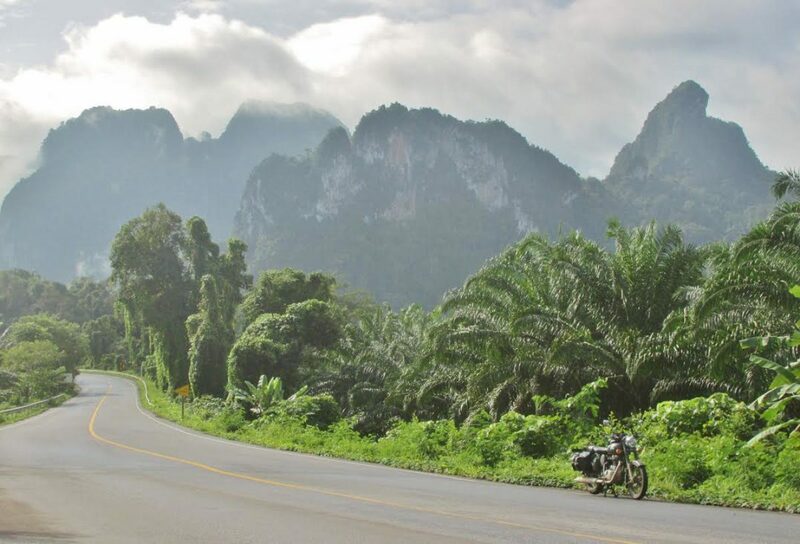 We stop at the Tiger Cave Temple and this leg continues to be action-packed until we reach Khao Luang National Park: a bit of main road, several secondary roads and around 20 miles of easy tracks along hillocks with rubber plantations and oil palms. In the early afternoon, we reach Baan Khiriwong. 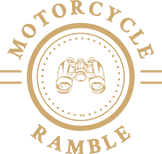 Early in the morning, we get on our bikes and head for Nakhon Si Thammarat, the former capital of the Tambralinga kingdom, known for its thirteenth-century Phra Mahathat Temple. 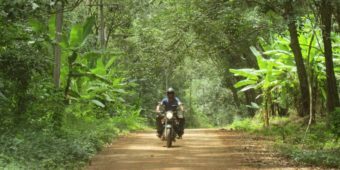 A wonderful track takes us for over 12 miles through an untouched jungle and stunning mountainscapes. On the way back to the plains, we reach Khanom’s pristine beach. Enjoy a relaxing afternoon on the beach or by the pool. We leave the Gulf of Thailand and head west crossing almost the entire peninsula. 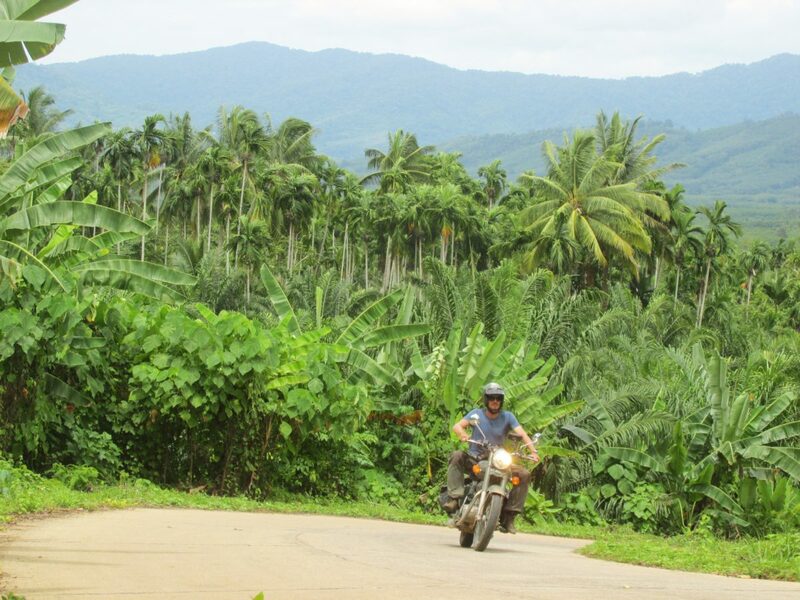 The roads pass through rural villages in the heart of authentic Thailand, with their markets, temples and plantations. 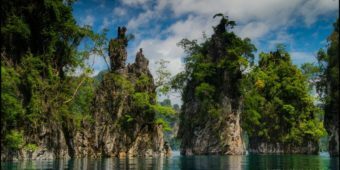 In the afternoon, we reach Khao Sok National Park, which may well be the wildest and most-preserved place in the whole country. Today’s a free day surrounded by nature! 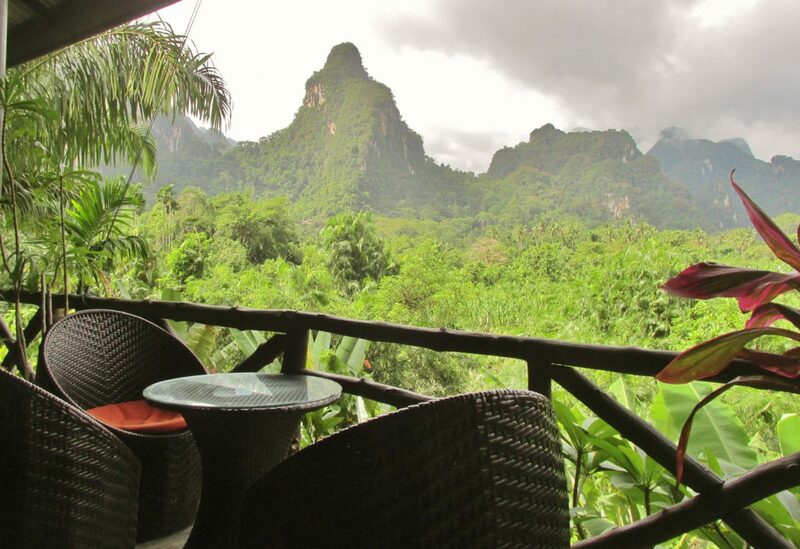 You are left to your own devices to explore Khao Sok National Park with a wealth of optional activities on offer: canoeing or bamboo rafting on the Sok River, trekking in the park, a day trip to Cheow Lan Lake. 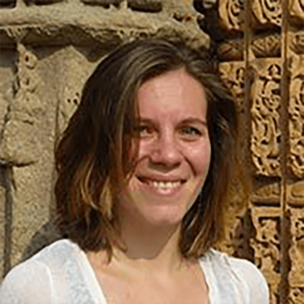 You could also meet some elephants or learn the basics of Thai cooking at a local family’s home! Our last day on the bikes, we head west on the perfect 401 road, along the Rommani river. 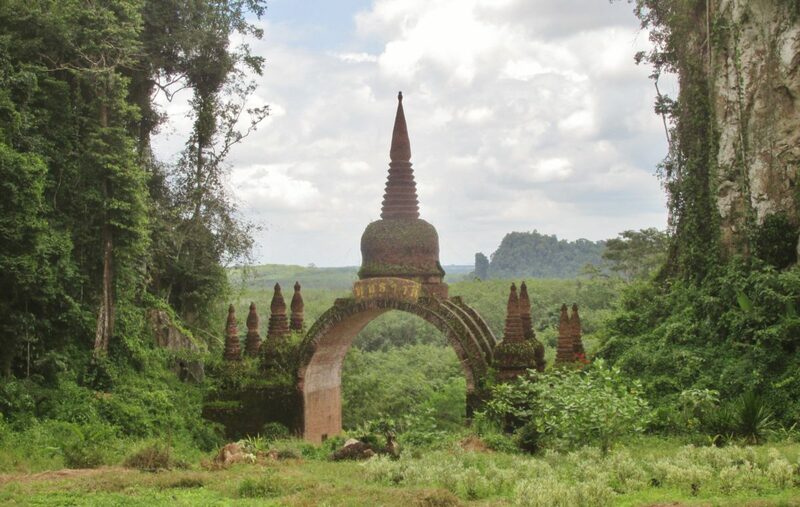 After 25 miles, we stop off at the small town Takua Pa and visit old Wat Lum. 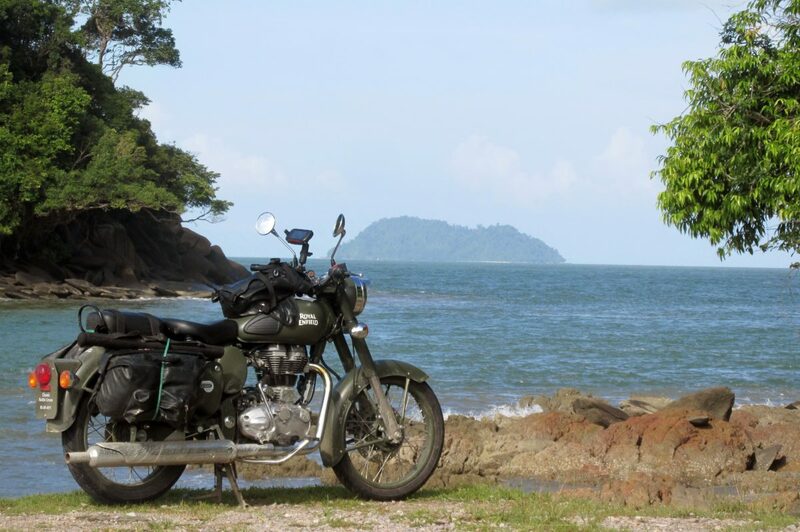 The road winds across hillocks covered with forests and rubber plantations until we reach the splendid sun-kissed coast. We take the ferry to Koh Kho Khao Island to end the tour in style. You can enjoy one last morning or afternoon at the beach. You are transferred from Khao Lak to Phuket International Airport according to your flight schedule, where our services end.